North Kildonan Publications (NKP) was founded in 1989 to publish Canada's model train magazine CANADIAN RAILWAY MODELLER, and produce other quality printed material for markets in both the model train and prototype train industries. NKP has produced several products under the trade name RAILFAN CANADA including Train Collector Cards, Post Cards, Christmas Cards, Train Prints and Train Collector Pins. 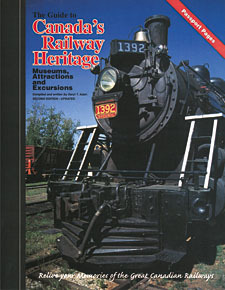 NKP also published The Guide to Canada's Railway Heritage Museums and Attractions by Daryl T. Adair and Kettle Valley Mileboards by Joe Smuin. 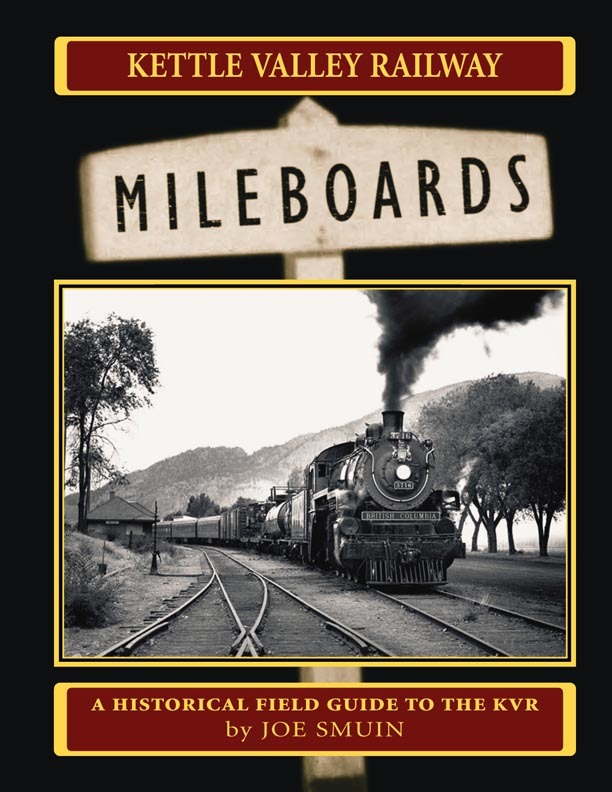 Kettle Valley Railway MILEBOARDS by Joe Smuin. "A historical field guide to the KVR" is how author, Joe Smuin, describes his latest work. The spiral-bound, 200-page book (1.2kg) is a mile-by-mile description of each subdivision on the KVR: Carmi, Princton, Coquihalla, Osoyoos, Copper Mountain and Merritt. (ISBN:0-9696971-2-0) Fully illustrated with nearly 100 diagrams and maps and nearly 100 photos, some of which have never been seen before. "A historically significant railway document written by a railroader." Available to, and for sale at hobby shops and historical societies or order directly from the publisher. $34.95 plus $13.95 to cover postage and taxes (if applicable). U.S. orders add $18.95. Overseas orders add $28.95. The Second, Updated edition of The Guide to Canada's Railway Heritage Museums, Attractions and Excursions by Daryl T. Adair and published by North Kildonan Publications (ISBN 0-9696971-0-5) features a description of more than 100 of Canada's finest railway museums, attractions and excursions with illustrated b&w photos for each entry. You will also find maps and location details, hours, fees (may change), along with a description of what you'll see when you visit. Also included is a Canadian Railway Station Preservation List, a list of surviving Canadian Steam Locomotives and unique 'Passport Pages'. The Muskeg Limited - The Story of the GWWD by Peter Lacey (ISBN 1-55056-286-X) contains an 80 year history of the Greater Winnipeg Water District Railway located in Winnipeg, Manitoba, Canada. This 96 page, 8 1/2 x 11 inch hard cover book contains many historical b&w photos along with text and illustrations. It's the full story of the only industrial railway owned by a city in Canada which was constructed to support the city's water aqueduct system that is located 96 miles away. Click here to order. 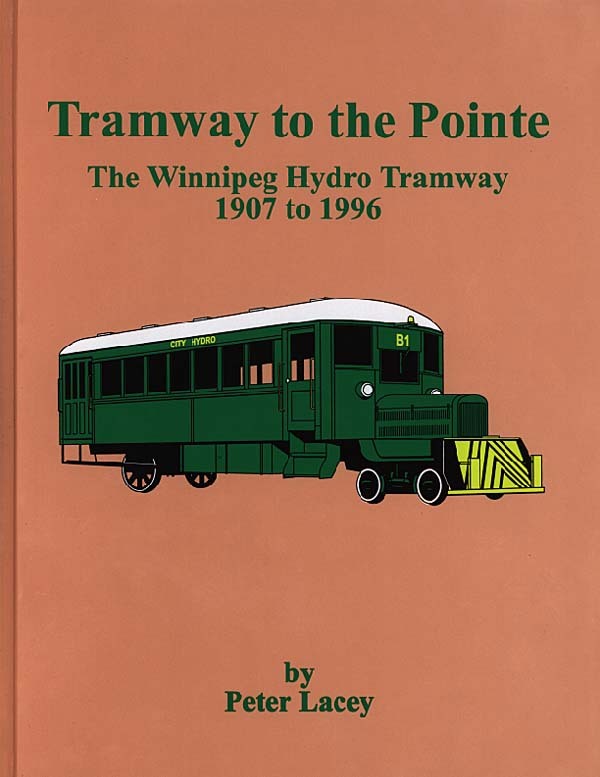 Tramway to the Pointe - The Winnipeg Hydro Tramway 1907 to 1996 by Peter Lacey (ISBN 0-9699860-2-5) is the second book in his series on Manitoba industrial and utility railway history. This 109-page, 8 1/2 x 11 inch hard cover book depicts the history of one of Canada's shortest lines still running today - built to assist in construction of a power dam at Pointe du Bois, Manitoba on the Winnipeg River. Click here to order.